What do you do when your dog loves to play with a ball, but he won’t give the ball up in a game of catch? When you throw one, your dog will go fetch it and bring it back to you. Then (while your dog is still at your feet), immediately throw the other one. 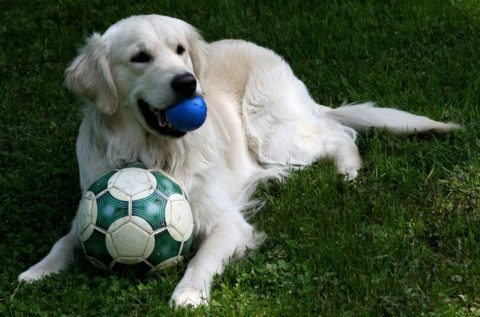 This causes him to drop the one in his mouth before he leaves to retrieve the other ball. The result is a neverending game of “drop and go fetch”. Now you can enjoy playing catch with your dog again!